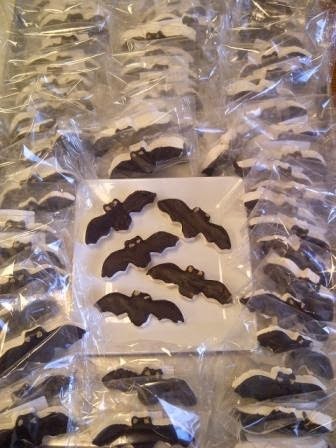 I'm batty for these chocolate-dipped marshmallow bats! Sweet and Sara is a NYC-based family-run operation (if you follow Sara, you know how hardworking [and adorable] she and her parents are!) that makes delicious 100% vegan marshmallows! Their amazing marshmallows contain no animal products (none of that icky gelatin), and they even recently went non-GMO! They have a ton of other treats available online, and you can find their regular marshmallows in a variety of stores, like Mother's Markets here in SoCal and Duane Reade in New York. 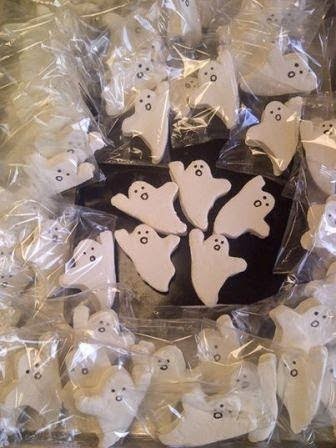 To order these special Halloween treats, please visit Sweet and Sara!